With a goal to reduce carbon footprint by 55 per cent, Majid Al Futtaim’s Tilal Al Ghaf development could set a new benchmark for mixed-use communities in Dubai. Hawazen Esber, CEO of Majid Al Futtaim Communities, is confident the project’s lofty sustainability goals are not beyond reach, although he admits it is an ambitious undertaking. “We are taking an ambitious but practical, viable and achievable approach to sustainability that will not only have environmental benefits, but in the long run will also deliver financial savings for residents to create a healthy and balanced community living,” Esber said. 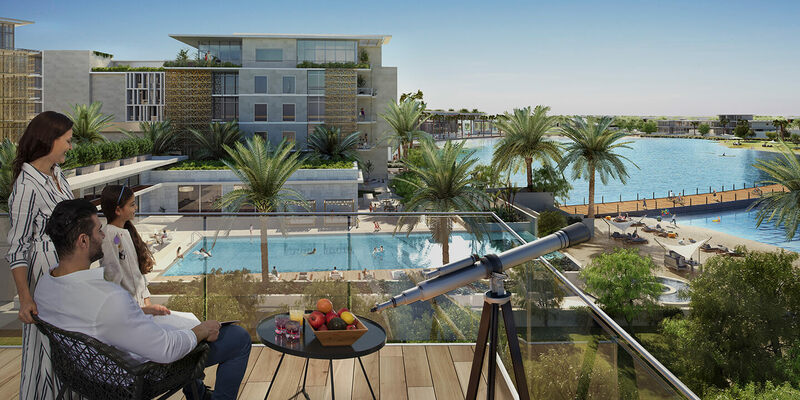 The project’s vision is to become the first mixed-use development in Dubai to achieve a “very good” rating under the BREEAM sustainability accreditation programme. Apart from reducing carbon footprint, the project also aims to reduce potable water demand by 25 per cent and recycle up to 80 per cent of organic waste. But how will the developer achieve its sustainability goals? According to Majid Al Futtaim, extensive on-site generation of solar power will be a key pillar of Tilal Al Ghaf’s sustainability strategy, with renewable solar power providing up to 20 per cent of energy needs. Rooftop photovoltaic solar panels will be a standard feature on certain residences and optional on others, providing 45 per cent of a house’s energy needs. Solar-powered lights will be used in the streets and public spaces. To save water, houses will be fitted with water filters, which the developer said will help reduce consumption of bottled water and potentially saving 200 tonnes of plastic waste every year. All water features, including the swimmable Crystal Lagoon, will be topped up using ground water, which Majid Al Futtaim said will relieve pressure on the water table. During construction, a system will be put in place to divert 60 per cent of construction waste from landfill. Up to 30 per cent of waste will also be recycled during operation. 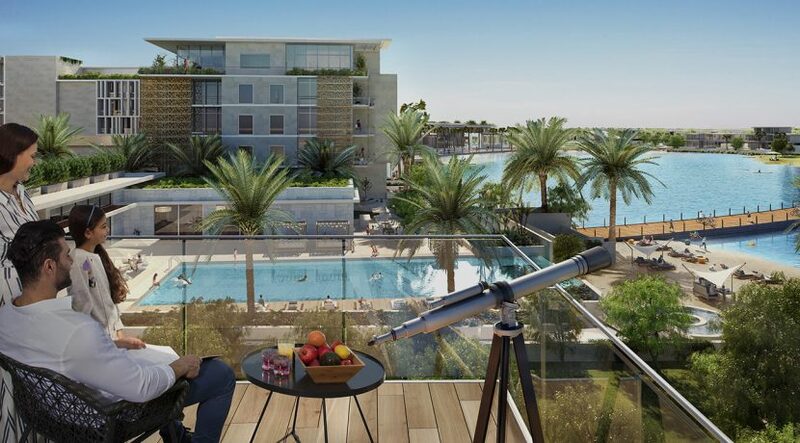 Located at the intersection of Hessa Street and Shaikh Zayed Bin Hamdan Al Nahyan Street, Tilala Al Ghaf will have more than 6,500 freehold apartments, town houses, bungalows and luxury villas when completed in 2027. It will feature walkable neighbourhoods connected by pathways, natural open spaces and neighbourhood parks.